This project involved the renovation of an entire lakefront property. Natural stone walls were built to create a private courtyard at the front of the home. A Thermal Bluestone walk and patio were installed within the courtyard. The sprawling landscape bed provides rich greenery and annual color. 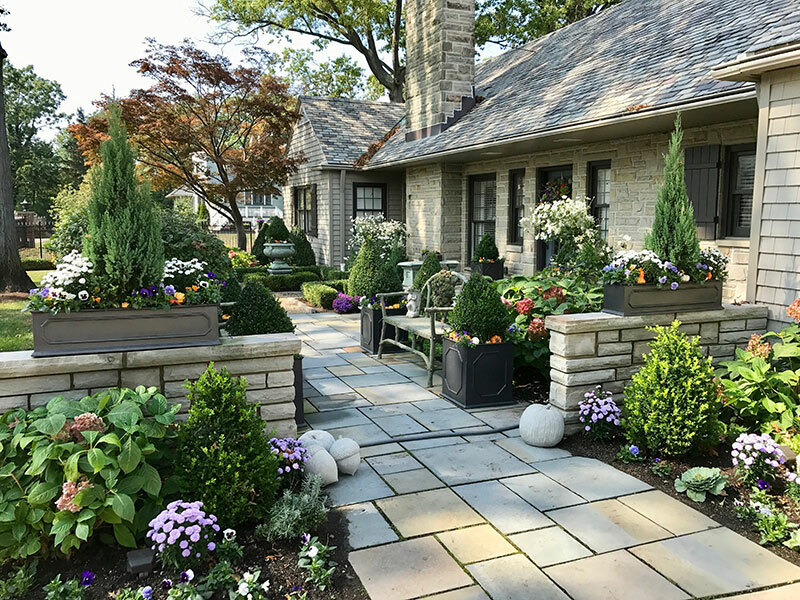 Pyramidal boxwood blend with the tree form Hydrangeas creating an Old World inspired look.